Sister Mattie is a member of the Dominican Sisters of Peace. Prior to coming to ODU, Sister Mattie spent 24 years in Ministry in the Archdiocese of Cincinnati, Ohio. During that time she served as Assistant Director of Religious Education in the Dayton area as well as Director of Media for the three Religious Education Centers in the Archdiocese. She also spent nine years as Parish Ministry Center Director and Diocesan Director of Religious Education in Ministry in the Diocese of Steubenville, Ohio. Sister Mattie also has extensive experience as an educator. Before moving into Adult Faith Formation and Teacher Certification, Sister Mattie’s teaching experience covered elementary grades through high school, as well as college. Sister Mattie earned a Bachelor of Science Degree in Elementary Education from Ohio Dominican University, and a Master of Arts degree in Theology from the University of Dayton. 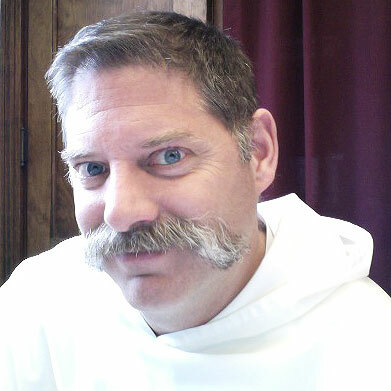 Scott Steinkerchner, OP, Ph.D. is a friar of the Central Province of the Order of Preachers. A Fulbright Scholar, Fr. Steinkerchner holds a B.S. in Electrical Engineering, Coop, University of Akron, an M. A. in Theology and M.Div. from Aquinas Institute, St. Louis, Missouri and a Ph.D. in Systematic Theology from Boston College. His dissertation entitled: “Watching Clouds: PursuingDialogue Across Disparate World Views” focused on developing and analyzing a method of interreligious dialogue that fosters learning about and learning from other religious traditions, rather than seeking to determine how various religious truth claims fit together. Fr. Scott served as visiting professor of Inter-religious Theology at Aquinas Institute in St. Louis Missouri and is the Promoter General for the Internet for the Dominican Order. 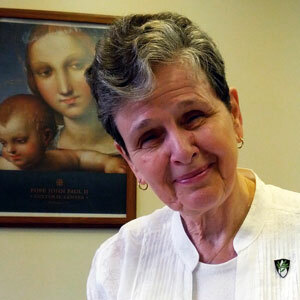 Sister Marilyn Ambrosic is a Dominican Sister of Peace. She received her BSE from St. John College and her MSE from the University of Dayton. Sister has served in a number of different capacities in both the Cleveland and Youngstown diocese prior to coming to ODU: Elementary School Teacher; Vocation Director, Development Director and member of the Leadership Team for the former Akron Dominican congregation; Newman Campus Minister; Religious Education Consultant; Minister to the Elderly; Manager of the Center of Hope (hot meals and emergency services for the poor); and most recently, Mission Group Coordinator for the Dominican Sisters of Peace. 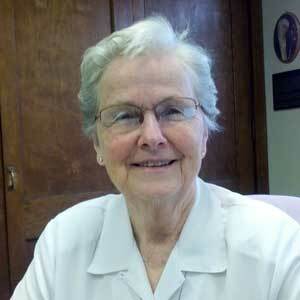 Sr Marilyn's rich background and varied experiences are assets to her ministry as assistant.